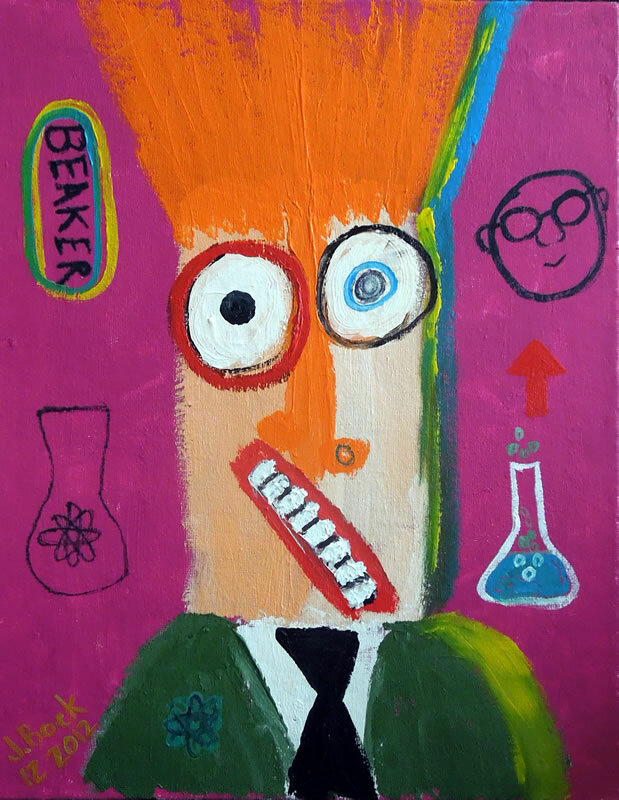 Painted on an 11″x14″ pressed canvas board, this is Beaker painted in the style of DC artist, Matt Sesow. 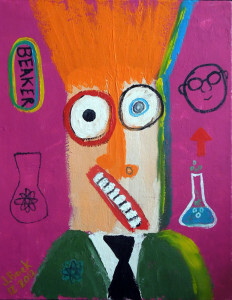 It will be part of a “Who Dunnit” show at the ArtDC Gallery in Hyattsville, MD. Opening on February 9th, 2013, the show’s theme is that “imitation is the sincerest form of flattery” where viewers will embark on a treasure hunt to determine if a piece was done by the original artist or somebody else.